62 Peppermint Recipes for Peppermint Lovers! If you’re a fan of peppermint, you’ve come to the right place! I’ve rounded up 62 Peppermint Recipes for your holiday celebrations. Candy, brownies, cookies, cakes, drinks and more! Tis the season for peppermint! If you’re craving peppermint as much as I am you’re going to go crazy for these 62 peppermint recipes from your favorite bloggers! Popcorn, bar, brownies, cookies, cakes, drinks and more! You’re sure to find something you like! I know there is a lot to love here so if you’d like to pin some of these recipes PLEASE click on the image and pin from the source! You can of course pin the entire collection using the collage at the top of the post 🙂 Take a look around and let me know which one is your favorite! I am obsessed with peppermint this year, I feel like it is the only thing I have made! Thanks for including my pie! Me too Erin! And you’re SO welcome! Have a Merry Christmas! Happy to Jocelyn! Merry Christmas! 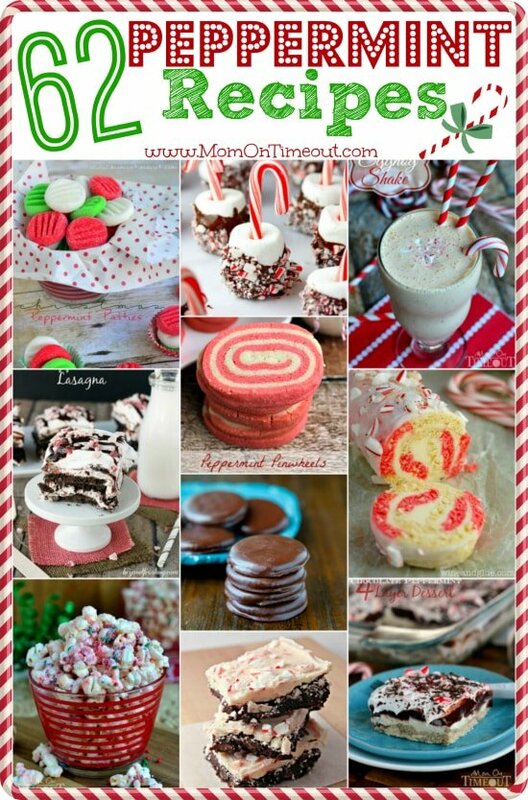 Excellent peppermint treat recipe roundup for the holidays, Trish! I always crave peppermint this time of year…always! Thank you for pulling this list together to share with us! Thank you so much Stacy! I’ve been craving peppermint too…A LOT!! Thanks for linking up to a few of my recipes! This is a great roundup! You are so welcome Julianne! Thank you!